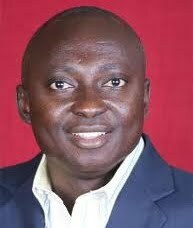 Ata Akyea, Member of Parliament for Abuakwa South, has expressed concern about the way and manner in which Papa Joseph Adom, owner of J. Adom Limited, a construction firm, is using the media and the police to tarnish his reputation by avoiding to pay him his legal fees. Mr. Akyea has been accused of professional misconduct by his former clients who are claiming that the MP misused more than GH¢230,000 whilst he was legal counsel for the company. Managing Director of the company, Kwabena Arhin, also alleges the MP withdrew $60,000 from the company’s account to purchase a house at the Airport residential area in a fictitious transaction. “It therefore comes to me as a complete surprise that the said Mr. Arhin, claiming to be Managing Director of J. Adom Ltd, has fed inaccurate information to the press in clear manipulation of confidential lawyer-client communication between Papa Joseph Adom and me,” he said. He said he represented Joseph Adom and J. Adom Ltd in diverse ways, citing cases such as suit No. AC 2/2003 between Engineers and Planners Ltd and J. Adom Ltd, and his legal fees were GH¢ 53, 460. 98 and USD62,069. 00,which Mr. Adom had not paid. In another case, suit No. AC 19/2007, between Vivendi Construction Company Ltd and J. Adom Ltd, his legal fees were assessed at GH¢ 17, 781. 76 but it remained outstanding while in suit No. 145/2007, between J. Adom Ltd and Harry Sintim Aboagye, his legal fees were assessed at GH¢ 6,600 .00 and not paid. “On Papa Joseph Adom’s instructions to cause the arrest of Joseph Krampa aka Joseph Amissah through the engagement of private investigators, the cost of the operation was USD 5, 000. 00,” adding “for undertaking negotiations with the respective solicitors for SIC and one Eric Defour in respect of the acquisition of a property adjacent to Papa Joseph Adom’s house at Ringway Estates, my fees are assessed as USD 5, 000.00”.